Higher Education Presidents & Leaders: Are You Leading Like a Wartime CEO Yet? Why You Should Be. As an executive coach and consultant to higher education leaders for more than 20 years, I have an up-close-and-personal view of higher education trends that have the potential to give power to major disruption in how leaders lead. This post is the first of a series that explores how the changing higher education landscape necessitates university presidents and leaders to embrace innovative and disruptive approaches to leadership. 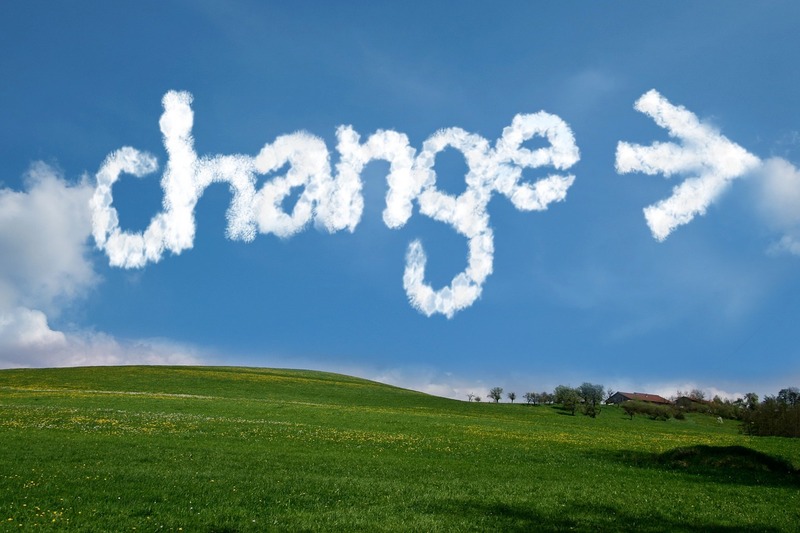 We have entered a time of tremendous change for higher education, leaders who recognize that change is underway will navigate the unpredictable terrain more successfully. I’ll first talk about why I believe we are in a “wartime” situation in higher education, and then I will discuss the advanced strategies CEO’s use in wartime that I recommend higher education executives adopt to thrive in the years ahead. Higher education institutions are facing unprecedented financial pressure. State and local government funding continues to decline. Revenue from tuition and fees continue to drop as student enrollments in traditional undergraduate and graduate programs continue to decline. Private gifts, grants, endowment income, and partnerships are now integral to college and university financial models, and yet competition for these funds has never been more intense. If you’ve been watching what’s been happening in higher education in recent years, you’ve also undoubtedly noticed massive shifts in how learners want to learn, which in turn impacts how educational institutions operate. Some of these shifts present threats to ongoing organizational viability, particularly institutions that are not adapting their educational models appropriately. The good news is that the shifts in user-demand for learning also present opportunities, that is if leadership is visionary and quick-acting enough to take advantage of the opportunity within this season of massive change. College Closures: Shrinking enrollments in small liberal arts colleges are forcing institutions to close their doors. After 114 years, Sweet Briar College, a Virginia-based women’s college closed in 2015, as did Tennessee Temple University. Westech College, New England Institute of Art,and Vantage College all closed in 2017. 2018 saw many more closings, including Briarcliffe College, Virginia College, and Cameron College. These are just a handful of examples; analysts predict more closures ahead. Harvard Business School Professor Clayton Christensen predicts that 50% of colleges and universities will close or go bankrupt in the next ten years. I’m not sure the situation is that dire, yet from what I’ve seen, there are deep reasons for higher education leaders to be concerned. Mergers: To combat the tide of dropping enrollments from traditional students, some higher education institutions have merged with others in order to stay afloat. For example, in Vermont, Johnson State College and Lyndon State College combined to become Northern Vermont University. Most recently in January 2019, Hampshire College has announced that they are seeking a partner to ward off closure. The Rise of the Mega-University: More and more universities are scaling their operations to join the “mega-university” trend, affordable education programs delivered to anyone, anywhere, any time. For example, according to Martin T. Meehan, President of the University of Massachusetts system, UMass is planning to start delivering education along the lines of other mega-universities, such as Western Governors University and Southern New Hampshire University, which serve tens of thousands of students by offering inexpensive, flexible, online programs. When learners have cheaper, more flexible, still high-quality forms of learning to turn to, as they do in the case of the mega-universities, traditional institutions lose enrollments. Traditional models are challenged to compete. The Changing Face of Learners: One of the potential opportunities for higher education institutions is the opportunity to serve more different types of learners, namely, adult learners. To stay competitive in today’s job market, adult learners are investing in their education at record levels. New Modalities for Delivering Education: The days of the giant lecture hall may be entering their twilight. For example, Arizona State University in Tempe, Arizona has ditched impersonal large lectures altogether, instead adopting a learning formula that focuses on collaboration while incorporating technology for problem-solving. The new model blends in-person collaborative learning in smaller, more informal settings coupled with online interactive homework modules. According to ASU President Michael Crow, the new model has increased four-year graduation rates to 52% in 2016 from 34% in 2010. Thus far, the ASU learning model has been adopted by 30 other mostly large, public universities. What Is a Wartime CEO? Horowitz explains that wartime CEOs must focus on the prime directive; individual feelings simply cannot be allowed to get in the way. Peacetime CEOs work to build consensus, while wartime CEOs demand allegiance and compliance. Today’s higher education leaders need to take a long hard look at how CEOs behave in wartime,because the unprecedented changes happening in higher education today call for extreme measures. The chart below shows a few examples of organizational differences in the peacetime vs. wartime concept. Leaders must adapt their leadership style in accordance with the conditions they face. Peacetime CEOs have time on their side, which means they can act more slowly, indulge in more debate, and nurture individuals’ career growth. Wartime CEOs must act quickly, decisively, and focus on the key directive for the organization; individual needs take a back seat while action towards organizational survival takes center stage. Just as there are many examples of struggling colleges and universities right now, there are also many examples of organizations whose executives are embracing wartime leadership strategies and making tremendous gains for their institutions. As already mentioned, ASU’s decision to ditch the large lecture hall for personal, face-to-face learning environments combined with interactive online studies has resulted in huge gains in student enrollment, retention, and graduation rates. Since 2002, ASU has grown to more than 80,000 students, many of which are below the poverty line. ASU also innovated by entering into an agreement with Starbucks to provide online courses to the coffee chain’s employees (a joint venture funded by both Starbucks and ASU). As I mentioned earlier, many organizations are embracing the “mega-college” trend, offering online degree programs that drive overall enrollment counts way up, helping to shore up the financial strength of the organization so it can serve both on-campus and off-campus learners. We already talked about The University of Massachusetts system taking a step into this arena this year, but that’s just one of many educational institutions embracing the call to innovate. Cal Poly San Luis Obispo has a core philosophy of “learn by doing,” which is one of the reason’s it is considered one of the nation’s best educational values in North America. An example of innovation at Cal Poly is their The Innovation Sandbox, which is equipped with state-of-the-art equipment that allows students to apply classroom learning as well as collaborate with other students on independent research projects. This hands-on approach to learning gives Cal Poly an edge in the learning marketplace. Push Boundaries. Explore new possibilities. Draw inspiration from other educational organizations and non-educational organizations, too. Never let what has been done get in the way of what can be done now. Adopt a Shapeshifting Mindset. Foster disruptive innovation. Become a catalyst for shifting the norms of what’s considered high-quality educational delivery. Rethink the how’s, who’s, what’s and why’s of learning. Pay attention to what learners are asking for and give them what they want and need. Use Intuition-Based Decision Making. In peacetime, you have plenty of time for methodical testing; in wartime, you do not. Trust your vision. Depend on your vast experience as a leader to make big calls without necessarily having all the research you’d prefer to have. Fortune favors the bold. Embrace Surprise. Where you plan to lead your organization may take a different form than what you’re imagining right now. When you adjust one “cog,” it can change everything. So, be ready for surprises and embrace the opportunities they bring along with them. The evidence is clear: higher education institutions are operating in a wartime environment. It is the role of higher education’s top leaders to drive the innovation required to make it through this wartime period successfully. This is why it is so important for today’s higher education leaders to embrace the role of the “wartime” CEO. By doing so, they can assure their educational institutions not only survive but thrive well into the future. Are you interested in this topic? Or are you interested in a fresh perspective on your own leadership aptitude or career trajectory from a seasoned higher education executive coach? I’d like to hear from you. 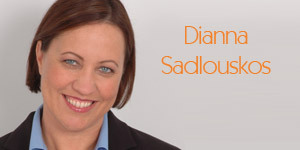 Let’s get the conversation started- contact me at dianna@sadlouskos.com. Dianna Sadlouskos has 25 years of experience in higher education advising universities and colleges in strategic planning and operations improvement initiatives. She is a recognized executive and leadership coach with a unique coaching framework that blends her higher ed subject matter expertise with traditional leadership coaching methodologies. Her results-oriented approach resonates with her clientele which includes both academic and administrative leaders and aspiring leaders.